A former City of Glasgow College building could be transformed into office space and serviced apartments after the city landmark was sold for redevelopment. 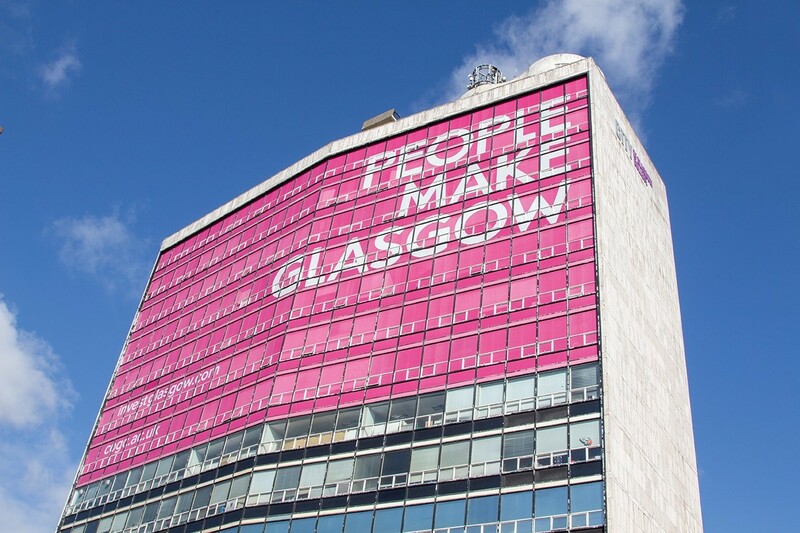 The B-listed building in North Hanover Street and Cathedral Street, which features a giant People Make Glasgow brand poster, has been acquired by Osborne + Co and joint venture partners Scotsbridge Holdings. The new owners plan to refurbish the tower into Grade A office space together with serviced flats on the Cathedral Street side of the building. Osborne + Co has appointed architects Cooper Cromar alongside planning consultants Savills to advance the refurbishment project. Osborne + Co development director Will Hean said: “This acquisition will allow us to capitalise on Glasgow’s current supply demand imbalance, with the market currently characterised by a dearth of flexible Grade A office space and significant pent-up occupier demand. “We are very excited by this opportunity and look forward to refurbishing such an iconic building within central Glasgow and continuing Osborne’s investment into the city.